Making the most of the one day of thick fog we had in Glasgow, taking a risk for the love of photography. 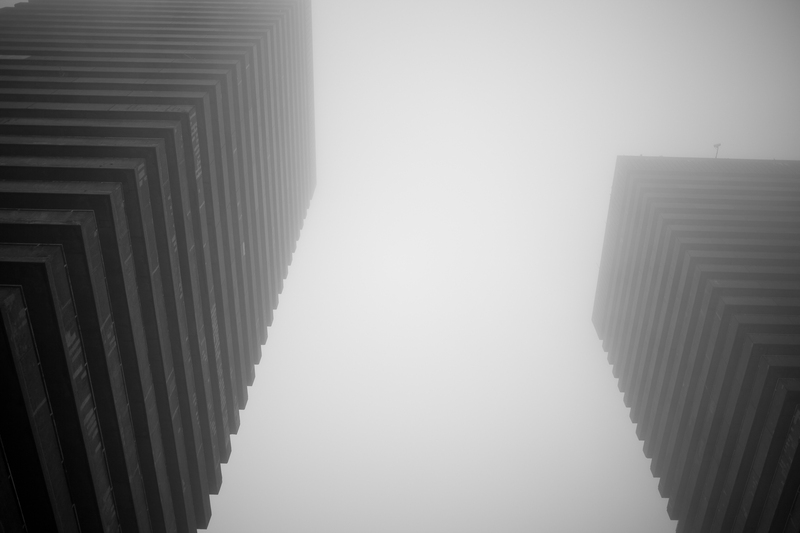 I love thick fog, it adds an atmosphere. 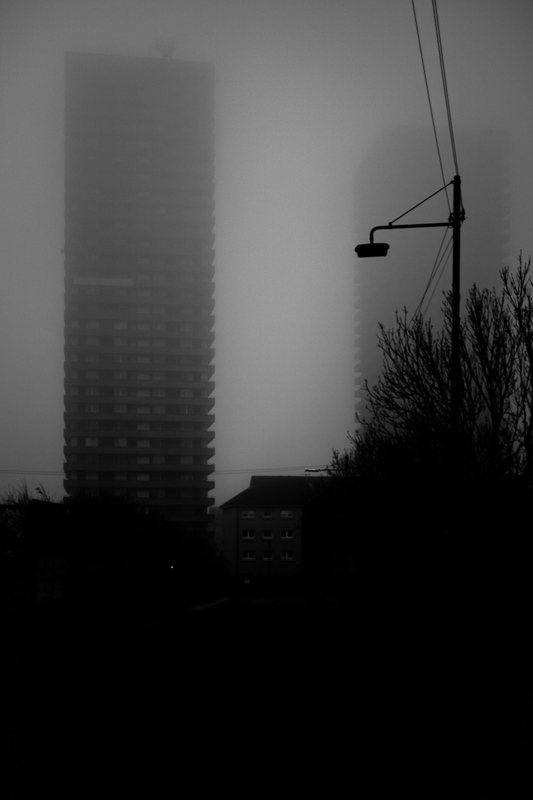 I have been waiting a few years to get these shots, as we don’t have fog all that regularly in Glasgow, plus I had to travel to these flats. 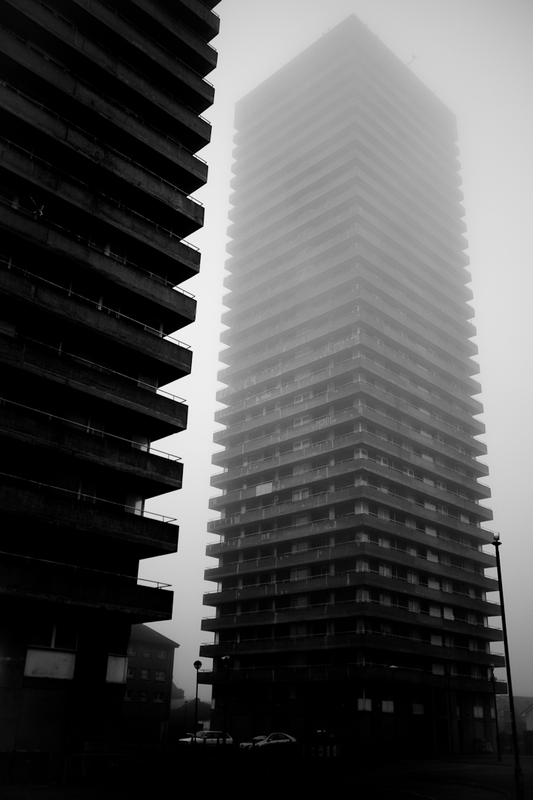 I find the Whitevale and Bluevale high rise flats intimidating twin structures at the best of times, but thought even more so in the fog. These unique high rise flats are the tallest in Scotland and are due to be pulled down in the future. The area is quite a notorious one, although there are new regeneration plans underway. 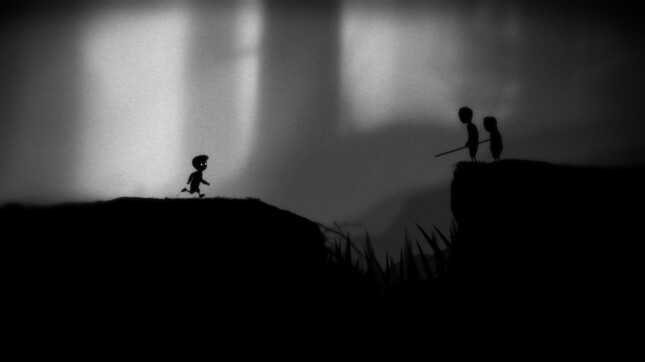 I originally took my inspiration from the computer game “Limbo” and wanted work with form and fog light. You are currently reading Bluevale and Whitevale High Rise at Zeno Watson.